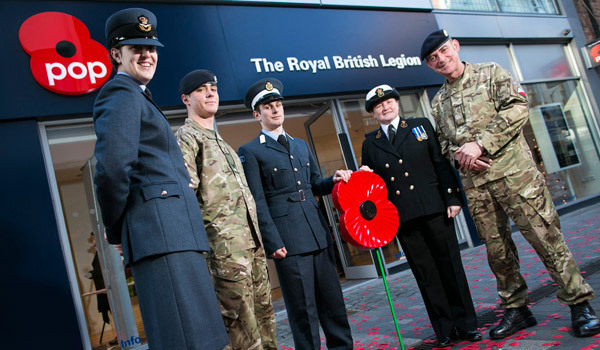 A NATIONAL freephone helpline, the first of a national network of high street offices and a new online information service have been launched by The Royal British Legion to improve services to the Armed Forces community. The improvements are designed to reach out to Service personnel, veterans and their families and provide them with the advice and support they need at any stage of their lives. Call 0808 802 8080 – new dedicated Contact Centre with trained advisers. Open 8am to 8pm, 7 days a week. Calls are free from all landlines and most mobile networks. Face to face – 16 new pop-in Advice and Information Centres to be opened in major towns and cities across the UK this year. The Legion is also introducing new community outreach in areas where there is known beneficiary demand. Minister of State for the Armed Forces Rt Hon Mark Francois MP said: “The Royal British Legion has become an effective first point of contact by making its services more immediately accessible, and working alongside other welfare service providers and Armed Forces charities in the best interests of the Armed Forces community. “It is heartening to know that, as we approach the centenary of World War 1, the spirit of compassion and comradeship is as alive within the Legion today as it was when it was first formed.